A spokesman said he will make the official announcement on Facebook and Twitter on Wednesday (11 May). The Honourable 58th Speaker of the US House of Representatives gave the keynote address at the marcus evans National Healthcare CXO Summit held in Hollywood, Florida last year. 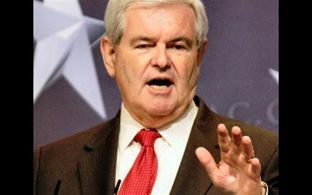 Gingrich will offer his first speech as a presidential candidate at the Georgia Republican Party Convention on Friday (May 13). He has made no secret of his White House ambitions and has been raising money and assembling a campaign team for months for the 2012 election. Getting into the race marks a comeback attempt by the former congressman from Georgia who stepped down from the House in 1998 after four tumultuous years as speaker. He had led the Republican Party to its first majority in the House in 40 years. Speaking at the 2010 marcus evans National Healthcare CXO Summit Gingrich, who has worked extensively on the issues of health and healthcare, gave his views on the Healthcare Reform Bill that President Obama has since has enacted.